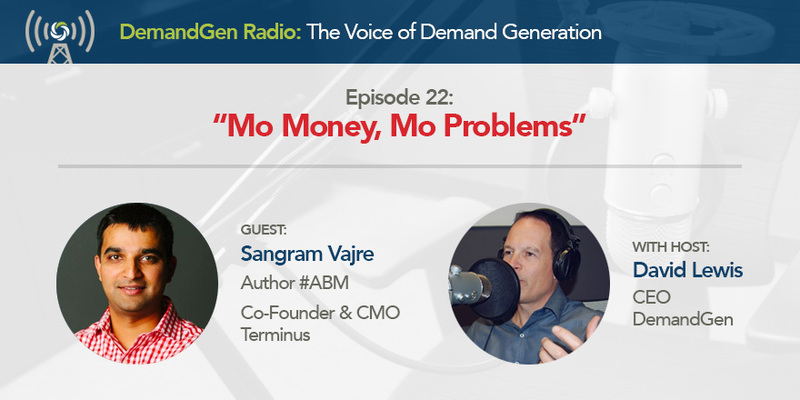 During this Podcast with Sangram Vajre on ABM, I could hear Biggie Smalls lyrics [aka The Notorious B.I.G] echoing in my ears “…it’s like the more money we come across, the more problems we see.” Why? Well just moments before we kicked off the podcast, Terminus announced the closing of $10.3 million round of Series B funding. Hubspot and other investors are placing additional bets on ABM solutions, which they see as a critical component of the marketing mix. Tune in to this episode of DemandGen Radio to hear from the founder of the #flipmyfunnel movement and Author of ABM for Dummies. Sangram shares insights on why people are both embracing ABM and struggling a bit to understand what’s needed to embrace it.